In 2011, one of Zwaard Engineering Studio’s first assignments was to design a product configurator for Nordson using SOLIDWORKS API. 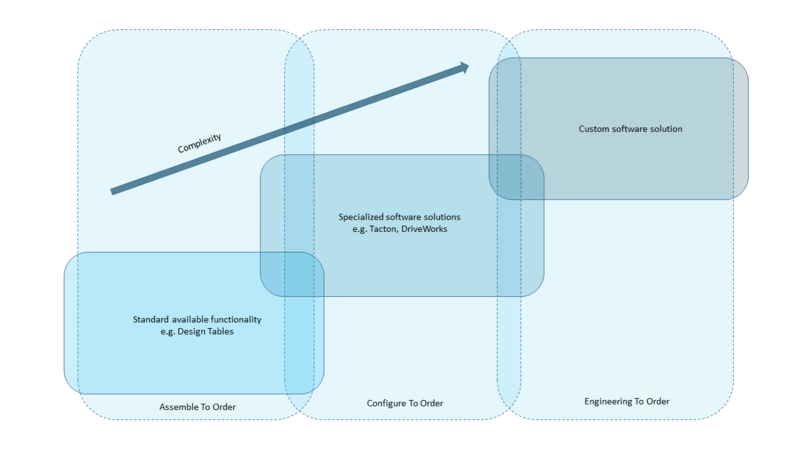 During this task, the potential of product configuration and its many benefits in terms of standardization, automation, and timesaving became clear. Over the years, our product configuration services have become more and more advanced. New programming techniques have been introduced such as improved import and export capabilities with various applications, automation that does not require SOLIDWORKS, and the creation of models and drawings on dedicated servers. For the past two years, we have also used Tacton as a product configuration solution. Depending on your specific needs, you can choose to create a completely custom product configurator, or use Tacton’s SOLIDWORKS-integrated solution.